Every playoff team from 2009-2011 has had at least one player with a +5.0 WAR (Wins Above Repko, or Wins Above Replacement, whichever you prefer) or higher. Most have had at least two +5.0 WAR guys, and many have had three or more such players. Sidenote: interestingly enough, the World Series Champions from those three seasons have had only two (’11 Cardinals), one (’10 Giants), and two (’09 Yankees) such players as opposed to loaded teams like the ’09 Red Sox (four) and ’11 Phillies (five). Again, that ’09 Sox team should have brought home the third Red Sox championship of the ’00 decade, but I digress. This is all a fancy way of saying that the teams that succeed have great players. Not just a collection of good players, but great players. There were only 33 players in the major leagues in 2011 who had a +5.0 WAR (23 hitters, 10 pitchers - WAR’s inclusion of defense into its formula makes it slightly harder for pitchers to have a high WAR number and makes it even less effective for tracking relief pitchers). Simply put, you need at least one and preferably 3-4 of these best 30-40 players on your team in order to succeed and make the playoffs in the MLB. I know what you’re thinking – I’m a genius who has uncovered a groundbreaking new theory of modern American sport. Hold on, it gets better. 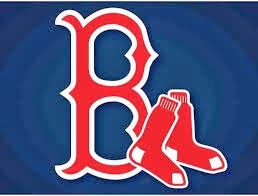 This is where I turn this piece back to the sinking ship that is the 2012 Boston Red Sox. - Dustin Pedroia is our highest-ranked player with a 1.6 WAR, which is 16th in the MLB, or 13 places lower than he was at the end of 2011. - Mike Avlies has been good this year, and comes in second on the team and 20th in the MLB with a 1.4 WAR. We have all read accounts that Aviles’ hot start is most likely unsustainable, and he is a good bet to finish outside the top 40 or 50 by year’s end. Certainly, it’s not a great sign if Mike Aviles is your second-best player. - The third-highest batter on the Red Sox according to WAR is David Ortiz at #43 in the MLB. Again, WAR takes into account a player’s run prevention through their defensive play, so the fact that our DH is our third highest-rated batter is another bad sign. - Our highest-rated pitcher is Scott Atchison. Let me say that again: our highest-rated pitcher is Scott Atchison. He is the #49 ranked pitcher in the MLB at only 0.8 WAR. And, he’s Scott Atchison. - Matt Albers is our second-rated pitcher. He checks in at #133 in the MLB with a 0.3 WAR. Albers was last seen losing a game for us by serving up a meaty meatball to Billy Moobs Butler. - Clayton Mortensen is our third-rated pitcher at #150, also with a 0.3 WAR. He has been with the team for a little over a week. - Josh Beckett is our highest-rated starting pitcher in the WAR rankings with a 0.2 mark and is #161 in the MLB rankings. - No other starting pitcher has a positive WAR. Meaning Josh Beckett is our only starting pitcher in 2012 who has been better than a replacement-level player. - The lowest-ranked pitcher in the entire major leagues, at #447? That would be Clay Buchholz. He has a -1.3 WAR. What does all of this mean? Well, it confirms what any member of Red Sox Nation knows if they have been watching the games: the Red Sox are not playing well. The roster is devoid of players who are playing at an elite level. Their best hitters have been little better than average, and their best player from 2011 (Ellsbury – again, the #2 ranked player in all of baseball in 2011) has barely played. The pitching has been historically bad. Add it all up, and you conclude that this team does not currently have the talent to be a playoff team. If you remember at the top of this post, I mentioned there are two ways for baseball teams to win a lot of games. One was to have elite-level talent. The other is intangibles (think the Twins and Angels teams under Gardenhire and Scioscia that were perennial playoff-contenders with a plethora of players like Maicer Izturis, Jeff Mathis, Matt Tolbert, and yes Nick Punto). Intangibles are harder to examine with stats or data. But you know them when you see them. Teams with exceptional intangibles do the little things. They make all the outs and do not extend innings. They have a knack for getting the pitching/hitting matchups they want in the late innings. They take extra bases, hold runners, move runners over, sacrifice, get insurance runs, hit with RISP, escape jams, and generally don’t beat themselves. We have seen this 2012 Red Sox team give away runs and wins in a multiplicity of fashions. This past week alone, they gave up runs through balks, balls in and out of outfielders’ gloves, and homers given up to the first hitter a reliever has faced. This is a team that is terrible at executing the intangibles of baseball. And really, that’s been the biggest travesty of the 2012 season – through all the injuries, the tough schedule, and off-field distractions – this team could have held this thing together until they get more star power back off the DL if they could just execute the intangibles night in and night out. And I guess that’s my point to this entire post. The Red Sox’ talent level is down, especially their pitching, and they are playing fundamentally-poor baseball. There is still time to turn this season around. But they are going to have to improve in both facets if they want to make the playoffs, and soon. Their talent level will improve when Ellsbury, Crawford, and Bailey return (even Dice-K could be a big step up over the atrocious Buchholz at this point). But they have nobody to blame for themselves for being so terrible at the other avenue to winning in the MLB – intangibles. They need to start playing a cleaner version of baseball if they want to start winning games. Starting tonight. I’m not sure that it’s going to happen for this team this year. We might be looking at a 4th or 5th place finish in the AL East. If we are, then my generation of Red Sox fans are going to understand how previous generations of Red Sox fans earned the moniker “Diehards”. Because it wasn’t always easy to be a Red Sox fan. It’s been pretty great to watch the Sox from 2003-August of 2011. If the team can’t rebound and 2012 is a lost season, it will be interesting to see how the attendance dwindles at Fenway Park. It will be interesting to watch the pink hats dwindle away. Maybe all that will remain to watch all 162 on the TV, to still pay hundreds of dollars to take a family of four to Fenway, or to continue writing ludicrously long blog posts will be a new generation of Diehards. Because real Sox fans aren’t fans only when the team is leading the standings or chasing pennants. Nay, real Sox fans stand around during winter gatherings and re-live tales of heartbreak and infamy, and then they come back for more. If I get nothing else from this team in 2012, I’m pretty sure they will give me some enthralling tales of heartbreak and infamy. And I’m pretty sure I will come back for more. I am biased, but I think this is the best blog post in the history of this blog (haha. We've been around 1.5 months!) Seriously though you made many points that I agree with wholeheartedly and you put your finger on exactly what is wrong with this team right now. Well done. Your last paragraph really struck a chord with me because I've been thinking about this a lot lately. As crazy as this sounds I think a 4th or 5th place finish may be exactly what we need to douche out the pink hats and other phony fans so we can find out who the real diehards are. I know that I am often seen as being cynical and pessimistic, but the idea of rebuilding this team and letting young players like Iglesias, Lavarnway, Middlebrooks, Wilson and others develop at the big league level excites me. Hell at this point I'd rather watch the young guys than the overpaid lazy big leaguers that they have. I would actually look forward to watching a game in mid-July with a line up full of prospects. This season may be exactly what diehard Red Sox fans need. Just a few quick things that jumped out at me from your very thorough and detailed post, Brandon. I thought maybe the most interesting fact in the entire post was your self-described sidenote. Based on the last three World Champs you do not need a overwhelming number of "elites", 1 or 2 will do. I would suggest that the Sox roster is not necessarily devoid of elite players, just players playing" elitley" so far. Pedroia, despite being ranked lower than last year is in the Top 20, that is one elite for sure. We need to count on Ellsbury being a second when he returns, if he cannot return soon enough or playing well enough when he does, this team is likely cooked. So far, the news has been pretty optimistic of his early return. With the WAR system overvaluing defense, I am not sure how having a DH piling up value entirely on offense ( #43) is a bad thing. 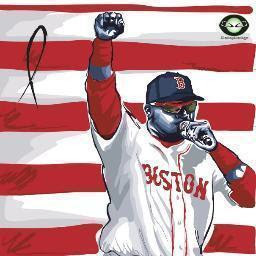 Papi is just outside the Top 40 elites and is doing in a system that could be called biased against the DH. The pitching. As we all knew before seeing the stats Brandon presented it has been worst than awful. At least 2 starters must step up and you would expect it to be Lester and Beckett. I was not the least bit surprised Beckett ranked so high in WAR last year, he pitched great game after great game last year, until September. Also, Beckett has not pitched badly this year after the first start vs. Tigers. The intangibles are damned hard to put your fingers on because well, they are intangible. I suspect the real reason for the terrible play of this team lies in the weeds of the intangibles. One last thing on Barry's comment regarding the pink hats. I have never really understood the angst over the pink hats, owning the soccer team, etc. by many in Sox Nation. Anything that pours cash into the coffers and allows the Sox to remain a big market team ( Boston is not really a big market, you know) is okay with me. I think what he meant was having a DH who is 3rd on your team in WAR says more about the rest of the team than it does about the DH. Obviously having Papi doing so well is good for the team. Beckett has one more terrible start on his '12 resume. 7-1 Indians after 3 innings. Here is my take on the Pink hats. Deacon I'll use your own quote from the chat last night. "They are whining front-running pricks" they only became fans because it was the cool thing to do. They jumped on the bandwagon and as original fans there has to be a part of all of us that resents it. Obviously there are people who become new fans of teams and that's a good thing, but will they support (not necessarily positive support! haha) the team through the bad times? I think we are about to find out. I understand that the owners have to expand there revenues, but it can't come before having a competitive team. This isn't so much a baseball gripe as it is a PR issue. I hate the fact that they seem to care more about making themselves look good while just thinking that the fans will slurp up whatever the Red Sox PR machine puts out there. The fan base used to be too smart for that, but not anymore. That's why I resent the pink hat fans. I was really disturbed by Bobby V's unwillingness to get vocal enough last night to get tossed after the Ross play. Sure, he could play the tough guy in the media room and throw around f-bombs in front of the cameras and writers, but where was that on the field? If he can't muster up enough fight to get ejected during this type of streak, it sends the message to the team and fanbase that it's not even worth it to muster up some emotion. Instead he just slunked back to the dugout like a defeated man who looks ten years older than the guy we saw in spring training. A leader would have gone beserk, got run out of there, and fired up his team on the way out. If he doesn't care enough about the game to do that, why should his players care enough about the games to get emotional? Very well done. I have always been known by my MCI buddies to be the voice of optimism even when things are going bad, so here goes we are only 7.5 games back. Let's build on that positivity. That and I had a bunch of retweeted bullsh*t on my Twittah tonight from Yankee douchery so I am fired up! I hate Yankee douchery! Here's some more positive thinking (it's nearly the last shred of it I have so enjoy it!). Right now everything seems to be going against us. Opposing teams' #9 hitters are hitting our pitcher's mistakes into the bleachers and we are popping up there mistakes. Other teams' bloops and bleeders seem to find holes and ours do not. Other teams load the bases with a HBP, walk, infield single then capitalize with a gapper. We can't get many breaks on batted balls. Here's the positive take: that has to swing around in a big way in our direction at some point and when it does it's gonna last a while...I hope.